In order to successfully have relaxed hair that is not damaged, breaking, shedding, and thinning you must be knowledgeable about your hair. Today I am here to educate you about relaxers, how they can be a good thing to have if that is what you choose to have, and also how they can damage your hair when improperly handled. With that being said, let's jump right in! First, I know that many women are programmed to getting a touch up every six weeks, or approximately every month and a half. I too used to be one of these women so if this sounds like you, know that you are not alone! If the average rate of growth of hair is only half an inch per month, the picture below shows about how much new growth you can expect in six weeks. Whenever you get a relaxer, the new growth is the only part of the hair that is supposed to get relaxer on it. 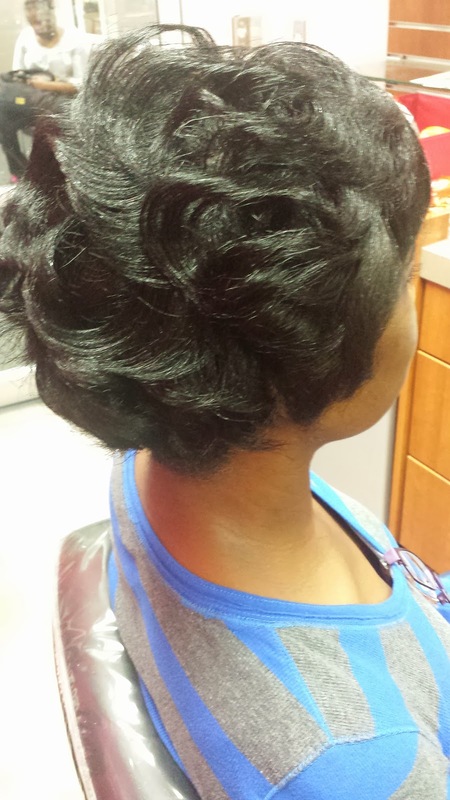 Since a relaxer is a permanent chemical, all of the hair that has been relaxed before does not need to be re-touched. Any time relaxer gets on hair that has already been relaxed that means your hair is being over-lapped which results in double processing, which ultimately results in damage. It is extremely difficult, even for an experienced hairstylist, to only process that little amount of unprocessed hair without getting any relaxer on previously relaxed hair. From my experience of being a hairstylist as well as observing other hairstylists, when relaxers are processed, approximately 1.5-2 inches of hair is processed. 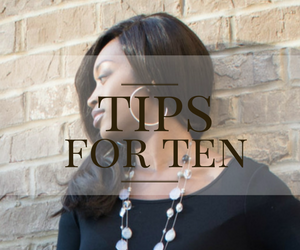 If you only have half an inch of new growth yet every time you get a touch up about two inches of hair is processed, it is safe to say you are over-lapping by at least 1-2 inches. If that is the case, it just makes sense to only relax every two inches versus every one half inches to avoid damage. If you relax your hair every six weeks, in the time it would take you to actually grow two inches of new growth you would have relaxed your hair about three times! To put it simply, that means you have over-lapped your hair THREE times. Think of it like this, when you are driving your car and accidentally run over a nail, your tire does not go flat immediately even though damage has been done. That air is slowly seeping out of the tire while you do not notice that anything is wrong. Then one day you go to your car and all of a sudden your tire is completely flat. This is the same thing that happens to our hair when it is over-processed. The first time we do it, we do not see any visible signs of damage even though the damage has been done. 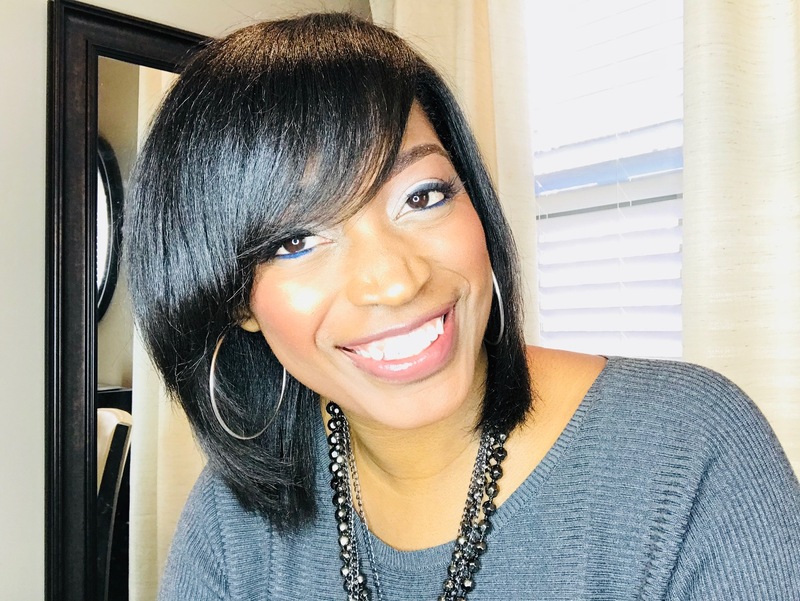 As we continue to over-process our hair the damage becomes more and more extensive and eventually we start seeing the actual damage which includes breakage, shedding, and thinning hair. 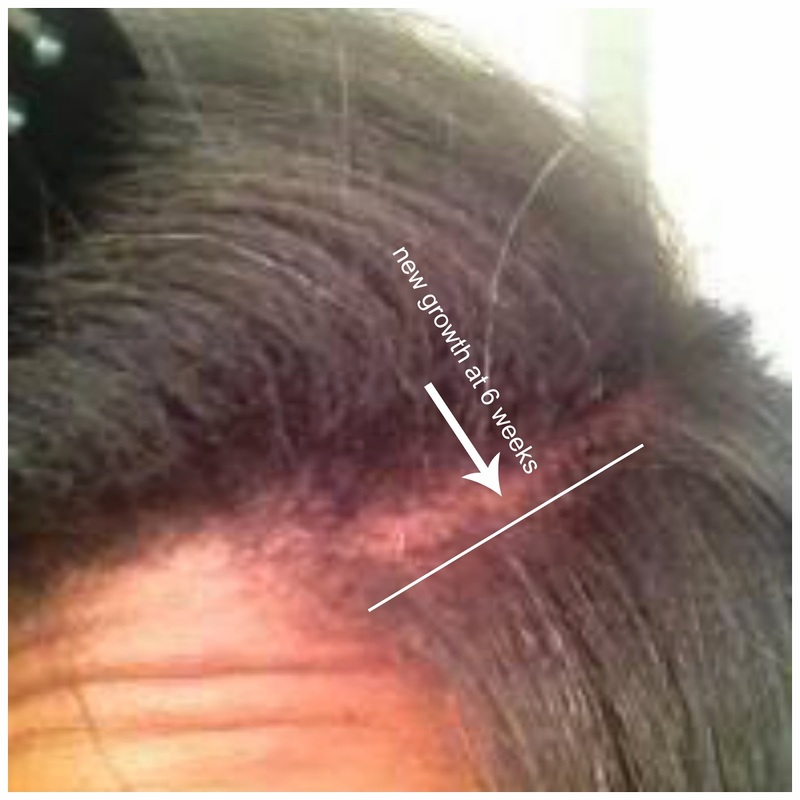 In the picture above, the hair from the scalp to the first white line shows the new growth which is about half an inch. 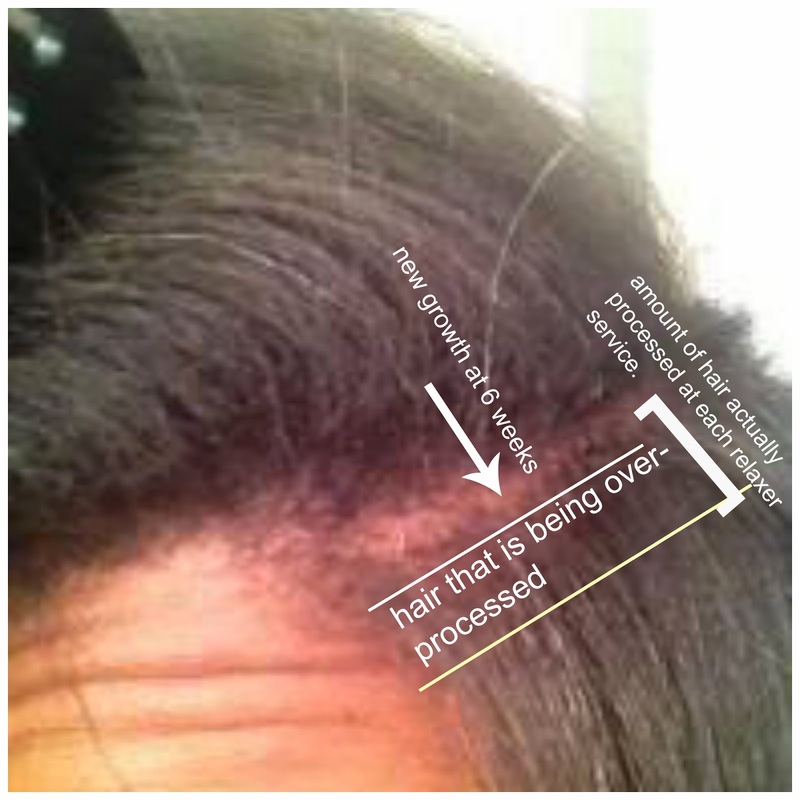 As you can see, that is not much new growth at all but to some women they feel like they cannot do anything with their hair because it is so "nappy". I cannot help but chuckle at this because I know what nappy really is! Just because it is thicker, which is a great feature, some women just do not want to deal with this. However, the yellow line shows the amount of hair that is actually being relaxed at each service. This happens every time you get a relaxer at six weeks. Over time you will notice the ends of the hair becoming thinner and thinner and also strands are beginning to break. Some women say their hair starts breaking every six weeks as a sign that it is time for a relaxer. No, no, no this is soooo not true. Those breaking strands are actually an indicator that the hair is damaged. If your hair "told" you that it was time for a relaxer by beginning to shed and break, transitioning and natural women would be bald! So I want all of you women to stop saying that pretty please! If your hair grows at half an inch per month and your hair is processed two inches at each relaxer service, that means it would take you four months, or sixteen weeks, to get two inches. This is why I encourage women to stretch to sixteen weeks in between relaxers. If your hair grows faster than the average rate you may get two inches sooner in which case you can get your relaxer sooner. And if your hair grows slower, it may take you a little longer to get to sixteen inches. Your main goal should be to get your hair healthy. 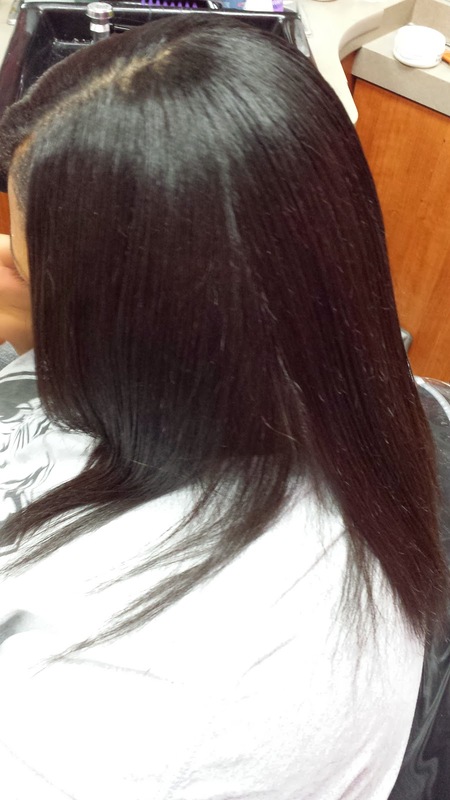 You can have healthy relaxed hair when your relaxers are done correctly. This is why I always say only a professional should use them. 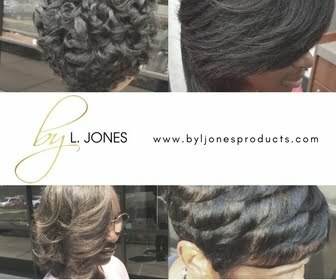 Never give yourself a relaxer and do not allow anyone else that is not a professional do them. I have seen people relax their hair all the way to the ends of the hair every time! This is simply a recipe for disaster. 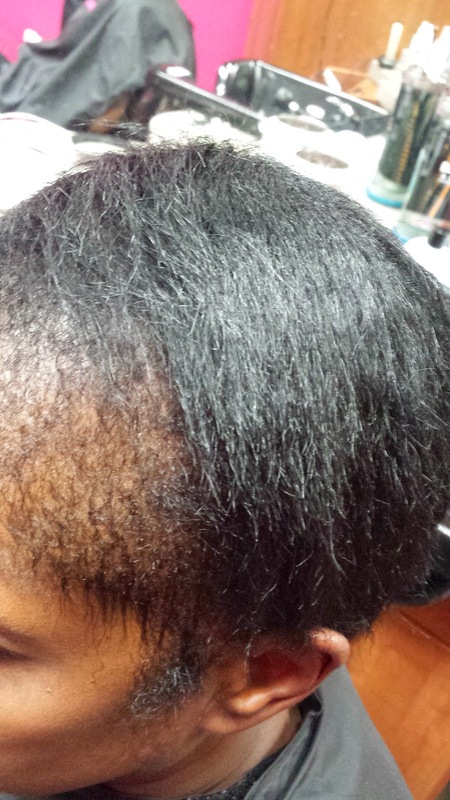 This client was getting her relaxers every four weeks and this is the damage that was done. All of her edges came out on both sides as well as the hair in the top of her head. I want every woman with relaxed hair to avoid and prevent damage and not have to learn the hard way like this woman did. 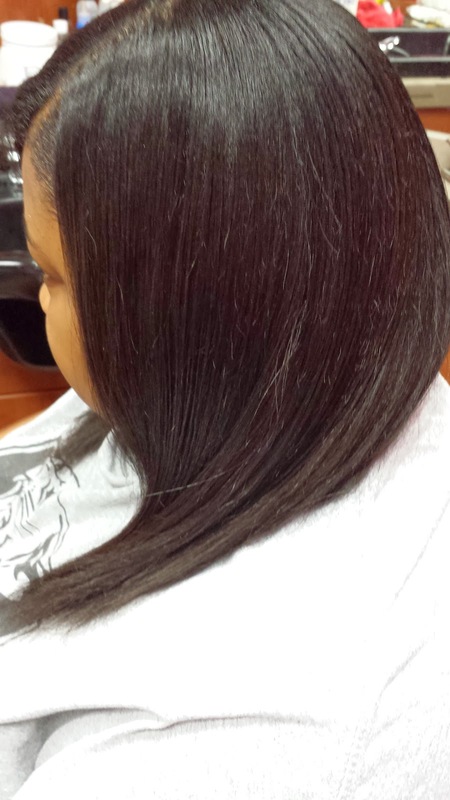 The woman pictured above has experienced the benefits of relaxer stretching. Before coming to me, her hair was shaved on the sides and back and even though she never cut it she said it never grew and it always looked significantly thinner. After coming to me and stretching her relaxers out her hair has grown tremendously and is just about touching her shoulders now. This client also has relaxed hair which is healthy and long. She stretches her relaxers as well and her hair is constantly growing and continues to be healthy. So yes, it is possible to have healthy, thick, and long hair with a relaxer. 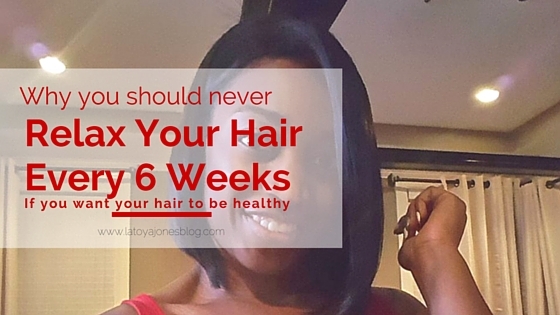 You do not have to go natural to have healthy hair! For more tips on how to stretch your relaxer, make sure you check out my YouTube series on How To Stretch Your Relaxers. 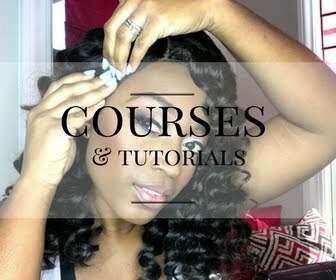 Great Information Miss Latoya.Thanks for the healthy relaxed hair series. I have heard ladies say the 'my hair starts breaking when it's time for a retouch' all the time. I'm going to get my retouch at least every 4 months/16 weeks. Great info! I'm one of those that experience breakage when I stretch to a certain point. My hair is very coily and subject to tangles. Stretching isn't for everyone. I've determined my hair does best when I don't stretch long term. Breakage is just as damaging as overlapping in my opinion. I perm my hair every 6 weeks mostly 8 weeks because I'm lazy. I also learned that where you perm hair meets with your natural hair is very delicate so it breaks easily. This is why people including me use this as a sign to get a touch up. My hair also grows for an inch every month and a half. I don't have any problems with damaged hair. My hair doesn't thin out. It's long and doesn't have any split ends. Can this mean that perming your hair every 6 weeks can only work with certain people? what about once every 6 months ?i did it 3 years ago and my hair was so thick it was amazing! but then the following year i fell back to doing it once every 2- 3 months. iam gonna give it a try again and try to wait until june which would make 6 full months from last relaxer. I can personally agree with this. In the past, I would perm my hair every 6 weeks. I started to notice how it would break in certain areas so I did the big chop and got faded out. After 3 months of no perm my hair is back where it was before I chopped it off but the texture has completely changed. It is super healthy. I can even still wear wash and go curly. So, with my newfound experience, I will only relax new growth and will limit the amount of heat I put on my hair. I am looking forward to my path to long healthy hair.